The increase of Indigenous staff and faculty has been one of the most positive outcomes of Ryerson University’s Truth and Reconciliation Commission (TRC) community consultation report, according to Olson Crow, a fourth-year criminology student, who identifies as a two-spirit Haudenosaunee person. The TRC community consultation report was released in January 2018. The report outlines six key themes — Indigenizing the university, improving and expanding support for Indigenous learners, Indigenizing teaching and learning practices, increasing Indigenous staff and faculty, deepening engagement with Indigenous communities, and increasing Indigenous visibility at Ryerson and honouring Indigenous culture and history. The report also suggests 50 recommendations based on these six themes. “I’m extremely proud of everything we’ve achieved since the announcement (of) our Truth and Reconciliation response about a year ago,” said Ryerson president Mohamed Lachemi. He said this past year, Ryerson hosted its first powwow in almost 20 years, introduced an orange shirt day to honour residential school survivors and established the Yellowhead Institute within the Faculty of Arts. He also added that the university has made it a priority to hire more Indigenous faculty. Since the report was released, seven Indigenous staff members have been hired, a significant increase from previous years. According to Ryerson’s 2015 and 2016 Employee Diversity Self-ID Report, Indigenous employees made up only one per cent of Ryerson employees in 2016. Additionally, there were no full-time faculty hires of Indigenous Peoples in 2015 and 2016. These new faculty hires have made all the difference to Crow, who is currently taking the Aboriginal Media course at Ryerson. As a side note, he said that he would love for the university to stop using the word “Aboriginal” as it is outdated. Although Crow has seen a huge improvement in the number of Indigenous faculty members at Ryerson, he said that he would like to see more traditional knowledge-keepers. “When we’re talking about Indigenous staff, I think we need to have the very real conversation that a lot of Indigenous folks aren’t in the positions of privilege to have PhDs to be university professors,” he said. “A lot of Indigenous knowledge is land knowledge, is traditional knowledge, is passed down from our elders and our family members. Denise O’Neil Green, Ryerson’s vice-president, equity and community inclusion, worked on the university’s TRC community consultation report. She said she, along with members of the TRC Strategic Planning Group, are working towards hiring more traditional knowledge-keepers. Ryerson currently offers 15 undergraduate Indigenous courses and four graduate Indigenous courses. Lynn Lavallée, who is the strategic lead, Indigenous resurgence in the Faculty of Community Services, is among Ryerson’s new Indigenous staff. She worked at Ryerson in 2017, but left to take on the role of vice-provost, Indigenous engagement at the University of Manitoba. She returned to Ryerson in January 2019. Lavallée, who is Anishinaabe-Métis, said Ryerson’s TRC community consultation report is a good step, but thinks that the Indigenizing curriculum part needs to be explored further. She said that oftentimes, Indigenous Peoples are brought in as guest or contract lecturers and not as tenured professors, tenure track professors or CUPE faculty. “Our knowledge is being extracted through the exercise of reconciliation and it’s not being appropriately valued or honoured,” Lavallée said. Another recent addition to Ryerson’s faculty is Jeffrey McNeil-Seymour, an assistant professor in the School of Social Work. He is a two-spirit band member at Tk’emlúps te Secwepemc First Nation. McNeil-Seymour said Ryerson should have a mandatory Indigenous-focused course credit among all programs and faculties. There is one Indigenous student in his Aboriginal Approaches to Social Work class. Even the non-Indigenous students in his class want more Indigenous courses, he said. Egerton Ryerson, the educator after whom Ryerson is named, helped create the residential school system in Canada. 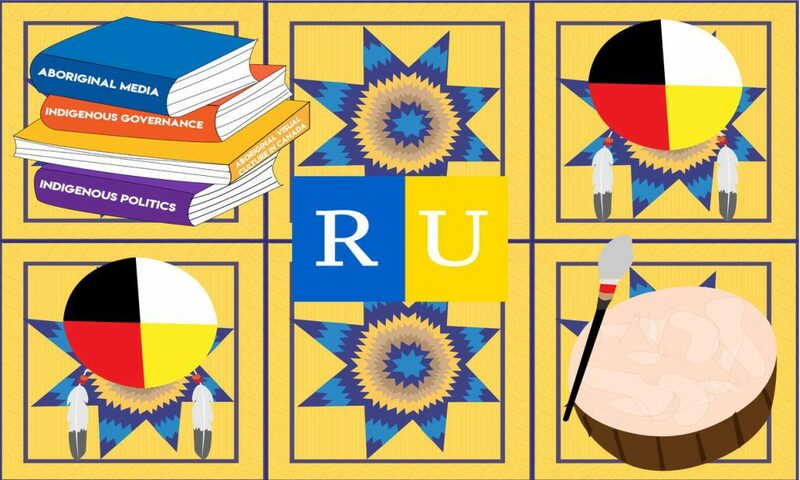 In the summer of 2017, the Ryerson Students’ Union (RSU) led a campaign called Colonialism 150, which criticized Canada’s sesquicentennial celebrations and informed the community about Indigenous history and culture. Crow, the former vice-president equity for the RSU, played a huge role in the campaign. On Canada Day that year, the RSU published a list of demands regarding Indigenous justice on campus. 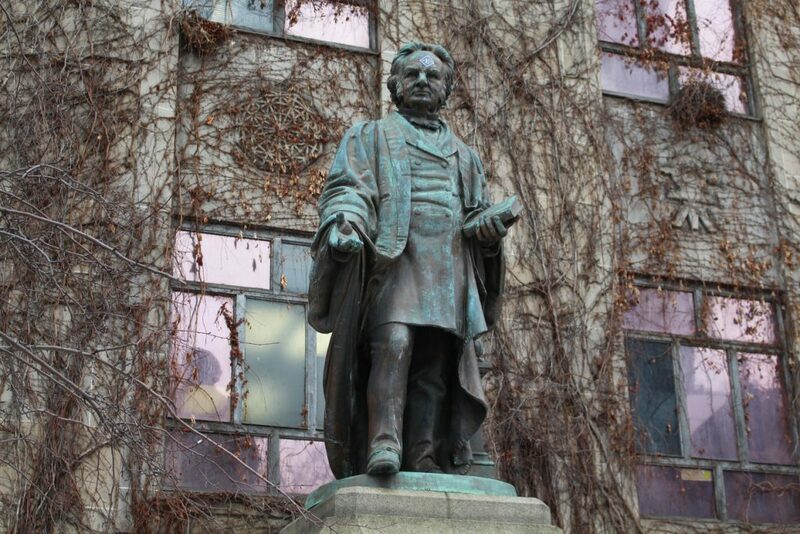 Demands included renaming the university and removing the statue of Egerton Ryerson on campus. 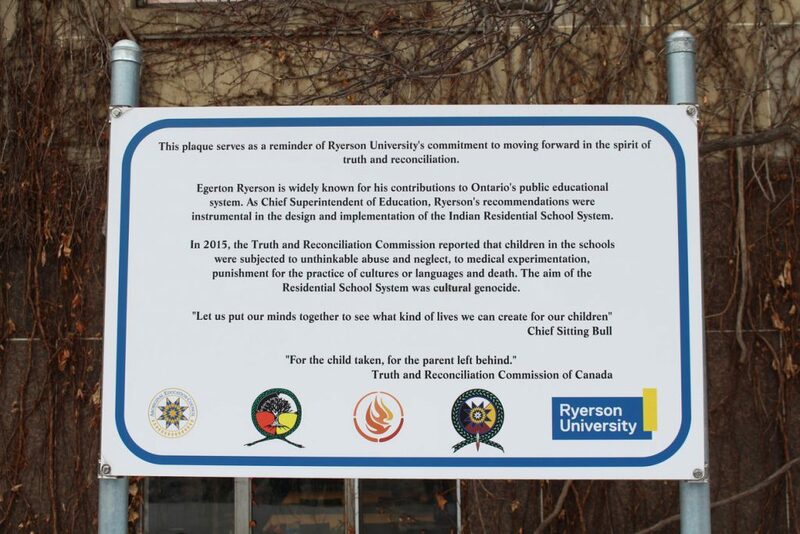 As part of the TRC community consultation report, the school installed a plaque beside the statue in June, contextualizing Egerton Ryerson’s colonial legacy. This remains a topic of controversy for both Indigenous and non-Indigenous community members. But not everyone shares this view. Crow said that the school should leave the plaque and remove the statue. The TRC Strategic Planning Group continues to make significant progress, according to an article posted by Ryerson Today. The group is led by O’Neil Green, campus elder Joanne Dallaire and provost and vice-president academic Michael Benarroch. The group is made up of more than 30 Indigenous and non-Indigenous staff, faculty and students from across the university. “(This) is really one of the first times that the community has come together to advance the TRC recommendations and goals that were articulated in the report,” said O’Neil Green. Monica McKay, director of Aboriginal initiatives at Ryerson, said she appreciates the diversity of the group. However, some Ryerson community members feel that there are some voices missing from the group. With that being said, Lavallée acknowledges the hard work of those involved in the report and said she knows it wasn’t easy to coordinate. Crow agrees, adding that it’s interesting to see who gets chosen to be part of the group and who doesn’t. “I would like to see voices invited to the table that maybe are a little bit more controversial, that they don’t necessarily want to hear from,” he said. Moving forward, Crow said he also wants to see more than one elder on campus, more programming for two-spirit students, more meaningful engagement with Indigenous students and more visible spaces for Indigenous Peoples and groups such as Ryerson Aboriginal Student Services (RASS). “In one year, we have made huge progress – not enough for me,” said Lachemi. “We need to do more. “I think post-secondary education is the best way to give a new future, new hope for Indigenous youth,” he said. McNeil-Seymour said that Ryerson has the opportunity to do something truly amazing and cutting-edge. Lavallée said Ryerson has the potential to change the conversation surrounding truth and reconciliation.